When people migrate, language and music are among the most common cultural artefacts that they carry with them. Music comes to play different roles for different (generations of) people in the new community. For those who migrated, music acts as a source of enjoyment, but also helps to create a link with their homeland. For their children, music becomes not an end in itself, but also a corpus of linguistic and broader cultural data that they use for language and cultural learning. 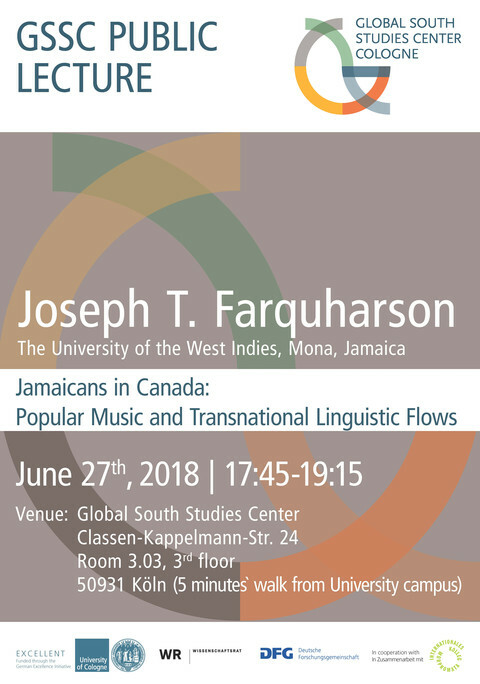 The current talk charts the social history of Jamaicans and their main language (Jamaican Creole) in Canada from the perspective of music. 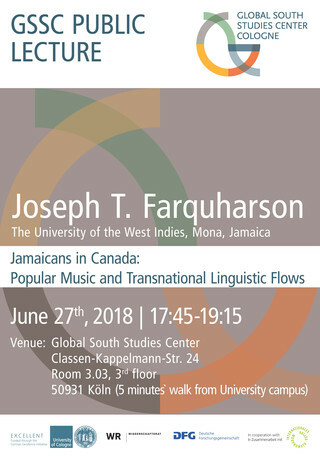 Using lyrics as the primary text, it analyses language use in 1970s and ‘80s reggae music produced by Jamaican immigrants; dancehall music produced by Canadian-born children of immigrants and their Jamaican-born peers in the 1990s and beyond; hip-hop music produced by young people of Jamaican descent in the late 20th to early 21st century; and reggae produced by non-Jamaicans. I argue that in the 1960s and ‘70s Jamaican music acted as a language learning resource for Canadian youngsters of Jamaican descent. Music as a resource for language learning was greatly improved with the large influx of Jamaican-born youngsters who arrived in Canada in the 1970s and beyond who brought with them Jamaican-dominant dancehall music, and more positive attitudes to Jamaican Creole than their parents. These youngsters acted as cultural brokers and left an impact on both the musical and linguistic landscape of Toronto/Canada. The talk locates all of this within what has been referred to as the sociolinguistics of diaspora, and explores the different tributaries of these transnational linguistic flows.